‘The Imitation Game’ directed by Morten Tyldum is a story that certainly more people should be aware of and with the backing of Benedict Cumberbatch’s performance as ‘Alan Turing’ this film does a competent job of doing so but ultimately the film is a little bland and never reaches the heights that Cumberbatch’s tour de force performance does. The one thing that is undeniable about ‘The Imitation Game’ is that Benedict Cumberbatch is its crowning achievement. As with all his roles he brings a level of gravitas and poignancy to the performance and has some moments of pure greatness, he really brings life to a man that so few people seem to know about (including myself to a small extent) and along with its writers and director brings a lovely tribute to the life of Mr Turing. When I was watching the film the thing that stood out most to me in Cumberbatch’s performance is how he took a person with some similar idiosyncrasies as his most popular character Sherlock Holmes and still was able to make the two feel completely different. There was an innocence and a frailty that Cumberbatch seemed to bring to his portrayal of Turing, even though this man was incredibly smart and without a doubt one of the greatest British minds during the second world war and beyond, this was a man who was still tortured by his past and to some extent his present. This performance was also aided by some solid supporting cast, particularly Mark Strong as the secretive ‘Stewart Menzies’ and the always infallible Charles Dance as ‘Commander Denniston’. No one cast member necessarily broke new ground with their performances but all were still great additions to the film. My main problem with the film however was that it never seemed to rise above being an okay film, apart from the on point acting this film just seemed to coast on by, never really leaving an indelible mark on my memory. The perfect example of this was when the film would cut away from the work Turing and his partners conducting in a small radio factory in Britain to some poorly rendered scenes of front line warfare. These scenes looked awful, the visual effects looked like those you’d get in a run of the mill war documentary on the History channel; they were so noticeably bad that it would always take me out of the film and completely ruin the tone that the director seemed to wanting to create. These moments also created a bizarre disconnect for me when it came to the setting of World War 2, for me the way it was presented made it feel like Turing’s attempts at breaking the enigma machine and the frontline warfare where two completely different timelines. Had there been a clearer correlation between the two or had these actually felt like one was impacting on the other then perhaps the film would have had a more concise through line. What also left a bad taste in my mouth were the moments in the film that came off as cliché Hollywood coincidence. There were a few moments in the film where I rolled my eyes in annoyance, nothing distracted me more from the film or completely took me out of the experience than the moments that the film fell back on lazy story telling techniques to advance the plot forward. Spoiler Warning ahead, skip to next chapter if you haven’t seen the film! One prime example of this would be the moment where Turing happens to stumble upon the Bible that reveals his overly friendly Scottish work buddy is actually the Soviet spy, there are so many more subtle and interesting ways in which this revelation could have been handled but instead silly/unbelievable coincidence was utilised and subsequently any realness in the telling of the story went flying out the window. 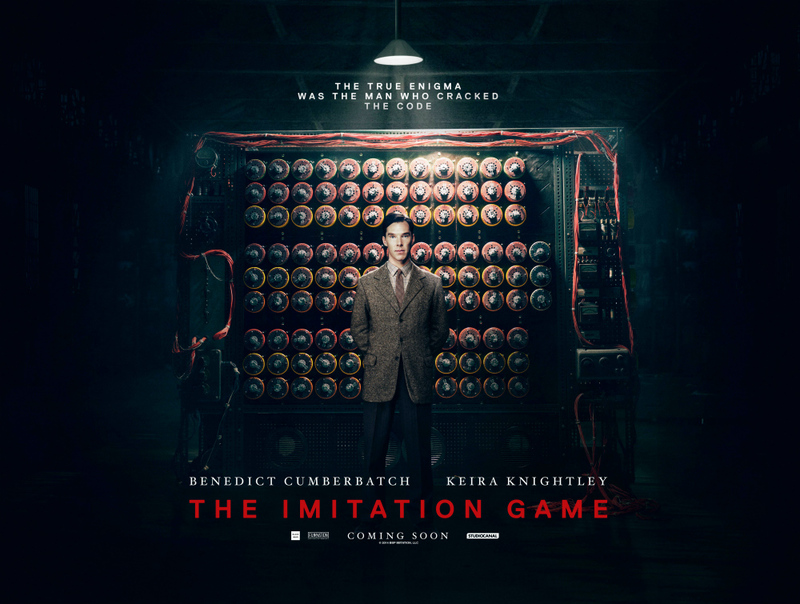 The more I watched of ‘The Imitation Game’ the more bored and uninterested I felt myself becoming in the film. Now I do want to make clear that the story and life of Alan Turing is fascinating and certainly one you should make the effort to read about but for me the way in which this film handled the subject was sloppy and dull. This isn’t even a long film, clocking in at 1 hour and 55 minutes but three quarters of the way through the film I was desperate for them to start wrapping it up so that I could go away and learn in much more intricate and well told detail about Alan Turing’s life. I’m really disappointed that I didn’t like this film and I may actually go back and watch it to make sure I haven’t missed something because I don’t understand why so many people are loving this film. In summary I’m not sure if I want to recommend this film. On one hand you have the brilliance of benedict Cumberbatch and his supporting cast, also more people should be aware of the life and accomplishments of Alan Turing but on the other hand the film is just so painfully dull that I don’t think this is the way to learn about him and to gain that wanting feeling to discover more about who he was. In the end I think that I will recommend the film but make sure you lower your expectations greatly before going in and of course trust that you’ll have Mr Cumberbatch’s performance to fall back on.